Designed to CL specification as an improvement on the Halberstadt CL II, but remained only a prototype. Engine, 160 h.p. Mercedes D III. Development of B.F.W. CL I. Prototype only. Engine, 175 h.p. MAN III. Test flown July 1918. Final aircraft in B.F.W. CL series. Remained prototype only. Engine, 200 h.p. Benz Bz IV. 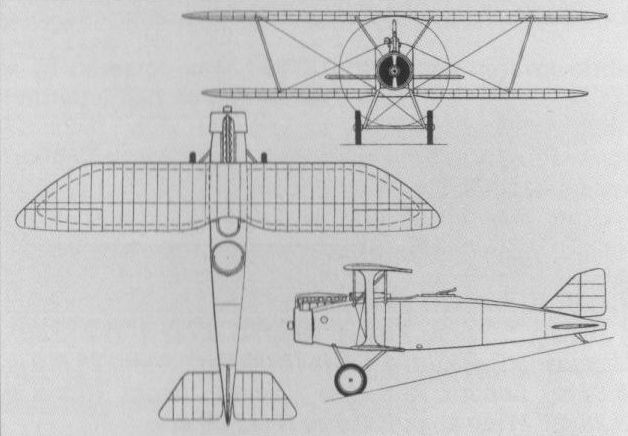 In late 1917, the Bayerische Flugzeugwerke (BFW) of Munich, which had been organised around the former Otto Werke in the previous year, was awarded a contract to build two prototypes of the Cl I two-seat reconnaissance fighter of original design. At the time, BFW was negotiating a contract to build 100 Halberstadt Cl II reconnaissance fighters and the company’s Cl I was specifically designed to require 20 per cent less manufacturing manhours than the Halberstadt aircraft. The first prototype, known by BFW as the Type 17, was completed in April 1918 with a 160 hp Mercedes D III engine. 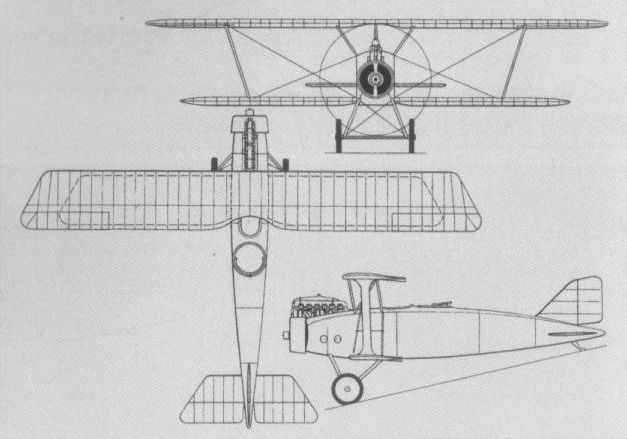 A single-bay unequal span biplane with an intended armament of one fixed LMG 08/15 machine gun and an LMG 14 on a ring mounting, the Cl I was sent to the Adlershof test centre for Typprufung in July 1918, but the Idflieg reported that it was ‘‘in no way equal” to the Hannover Cl V, requesting that improvements be made and the aircraft resubmitted for further evaluation. Accordingly, a lighter fuselage was fitted and, as the Cl Ia, the aircraft underwent static load testing between 30 August and 14 September 1918. Results were unsatisfactory and BFW agreed to redesign the Cl Ia in accordance with ‘‘new design principles” (see Cl III). Time to 3,280 ft(1 000 m), 2.0 min, to 13,125 ft (4 000 m), 6.5 min. Empty weight (Cl Ia), 1,587 lb (720 kg). Loaded weight (Cl Ia), 2,337 lb (1060 kg). Span, 34 ft 10 1/8 in (10,62 m). Length, 25 ft 7 1/2 in (7,81 m). 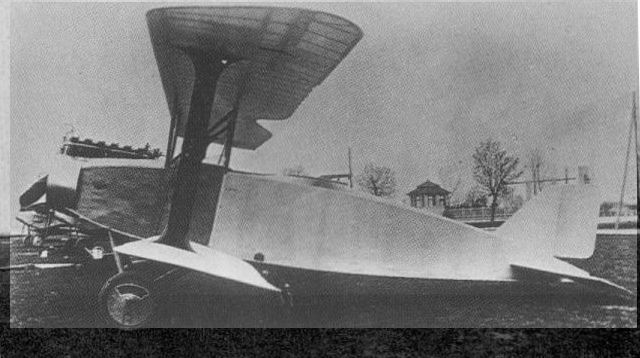 The second prototype of the Cl I two-seat reconnaissance fighter was completed with a 175 hp MAN (Maschinenfabrik Augsburg-Nurnberg) Mana III six-cylinder inline engine as the Cl II, or Type 18, in May 1918. In all other respects the Cl II was similar to the Cl I, but no details of its testing are available. Time to 13,125 ft (4 000 m), 5.0 min. Dimensions as for Cl I.
Redesign of the Cl Ia by BFW in accordance with the ‘‘new design principles” as requested by Idflieg resulted in the Cl III, a single prototype of which was completed at the close of hostilities but was not apparently subjected to Idflieg testing. Adhering closely to the concept of the Cl Ia, the Cl III was powered by a 200 hp Benz Bz IV engine and featured longer-span, more angular wings. A further development, the Cl IV, remained on the BFW drawing boards. No performance data or weights are recorded. Span, 37 ft 10 1/3 in (11,54 m). Built in 1918, the Cl I (Type 17) recce-fighter was the first military aircraft by BFW. The second prototype of the BFW Cl I became the Cl II with a MAN III engine. Evolved from the Cl I, the BFW Cl III featured longer-span wings and a Benz Bz IV engine. The BFW Cl III was too late for wartime service.